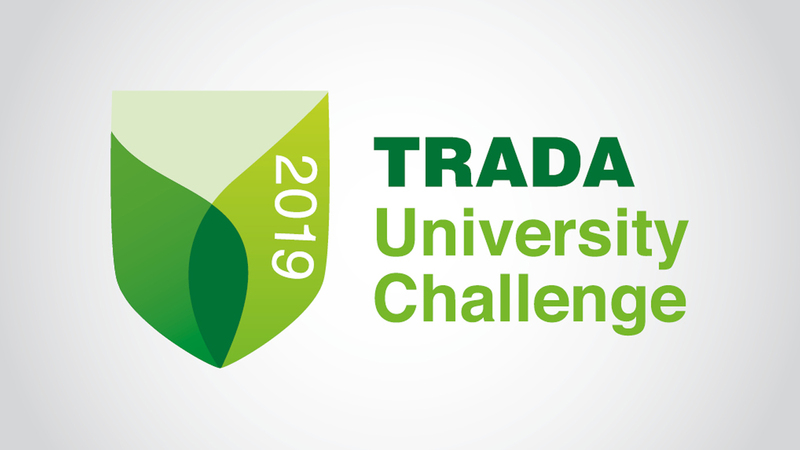 On 8-9 February, 60 UK students will gather in Sheffield for the TRADA University Challenge 2019, a charrette-style challenge to design healthy student accommodation predominantly from timber. Ramboll’s Tom Harley-Tuffs will be joining the judging panel alongside architects Alex Abbey of Cullinan Studio, Waugh Thistleton’s Kieran Walker and dRMM’s Patrick Usborne; engineers AKT II’s Ricardo Candel, and Arup’s Jaffel Versi; quantity surveyor Oliver Booth of Gardiner & Theobald; and landscape architect Stephanie Crewe of LUC. This year students will be asked to design to a tight brief, incorporating sponsors’ products while working around real life constraints provided by the existing site chosen for this challenge: an old shopping centre in the heart of Sheffield’s shopping district. As an additional challenge, and to emulate real life experience, students of quantity surveying have been added to each team this year – stressing the importance of building to budget. Each team will include two architects or architectural technologists, two engineers, a landscape architect and a quantity surveyor – creating situations and relationships comparable to project teams – with pioneering design professionals and industry members providing specialist support. Tom is a senior structural engineer at Ramboll who has worked on a diverse range of projects, with expertise in steel, concrete, timber, modular and renovation work. Tom has worked on many technically challenging timber projects, including Dalston Works, the largest Cross Laminated Timber (CLT) project globally. He also helped develop the timber industry in Singapore and was technical author on the BCA timber guidebook during his time there. Universities involved include Bath, Bournemouth, Bristol, Canterbury, Cardiff, Coventry, Derby, Dundee, Edinburgh Napier, Herts, Leicester DMU, Liverpool, Newcastle, Norwich, Nottingham Trent, Reading, Salford, Sheffield, Sheffield Hallam, Strathclyde, Trinity St David, UEL, USW, and UWE. The teams then had 8 minutes to present their designs concisely and elegantly to the expert panel of judges, who were unanimous in naming Team 9 the winners, citing their innovative approach and attention to future adaptability. The multidisciplinary team of six that aced this year's TRADA University Challenge ignored the convention of the red line boundary and changed the arrangement of buildings around the site. Their innovative approach led to a design that combined post and beam with a modular volumetric structure. Slotted and stacked into four frames of differing heights, which maximised sunlight, the ‘CLT room pods insulated with wood-fibre’ are accessed through the communal central areas, adding to student community engagement. Each studio room included a shower room and a study area with external windowed views. Communal areas at both roof and ground level encourage further interaction. Total costs were estimated at £33 million with an 18-month program.